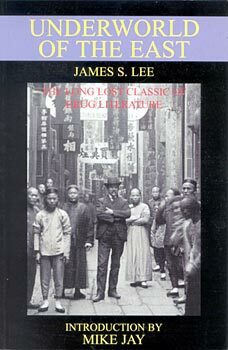 Underworld of the East is the remarkable story of James Lee who, starting in 1895, spent 20 years pursuing all the pleasures and dangers that the Far East had to offer. He travelled with an open mind more in common with our modern times and recorded with stunning candour and great insight a world where few of his contemporaries dared to venture and speaks vividly across time to the Twenty-First Century reader. Far more than almost any other example of the turn-of-the-century travel genre, it presents our jaded palates with the sort of Orient of the Mind which we imagine far more often than we get: a twilight world of ports, red light districts, drug dens and secred chambers of vice from Aden to Kyoto, and our guide not some prurient flaneur protesting his shock and disbelief at every step but a mining foreman from Yorkshire who, during the course of the book, is largely preoccupied with smoking, swallowing and injecting as many drugs as possible. Finally he tells us of his discovery of two mysterious drugs in the jungles of Sumatra which - if their existence and effects are to be believed - would offer not only spectacular new highs to the drug connoisseur but nothing less than a fortune to the pharmaceutical industry. Mike Jay is the author of Blue Tide: The Search for Soma (Autonomedia 1999) and editor of Artificial Paradises: A Drugs Reader (Penguin 1999).